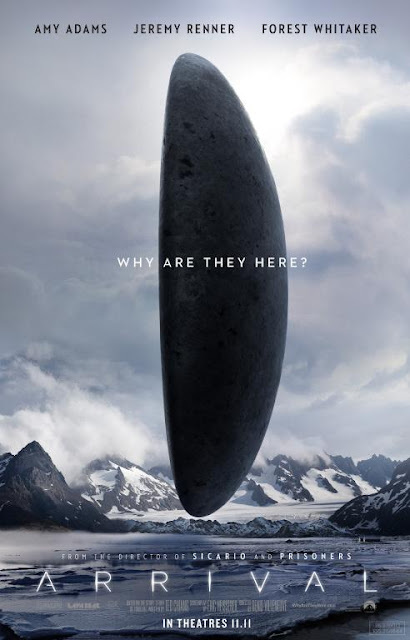 Disappointed by the lackluster reviews for The Light Between Oceans, I’m cheered by what sounds like better news for another book2movie I’ve been following; Arrival, the Denis Villeneuve directed film based on Ted Chiang’s short story The Story of Your Life. The film starring Amy Adams, Jeremy Renner and Forest Whitake screened at the 73rd Venice International Film Festival today. At the same time it’s clear to me from Tartaglione’s interview with Villeneuve below, that the film as Villeneuve says, takes large liberties with Chaing’s story. That, says Villeneuve, is the reason they changed the title. How odd, for Paramount to pay a record twenty million dollars for a short story and then change it substantially! DEADLINE: Why the move to sci-fi? Were you aware of Ted Chiang’s short story before signing onto Arrival, which was then titled Story Of Your Life? VILLENEUVE: It’s been 30 years that I wanted to shoot science-fiction but I never found the right thing. That’s why when I found Story Of Your Life I fell for it; it was exactly the type of story I wanted to tell… I met the producers Dan Choen and Dan Levine after they saw Incendies and they asked me what I’d like to do and I said I’d like to to do a science-fiction film. They gave me the short story which I really thought was magnificent. But I was developing Prisoners and didn’t have the time to adapt it myself. I told them it was really promising and that it seemed difficult as an adaptation, but that I’d like to look at it later. In the meantime, they approached a screenwriter who developed a first screenplay that they sent to me while I was doing Prisoners. I told them I adored it but we reworked the script. It was a long job. I started work with (screenwriter) Eric Heisserer while I was shooting and editing. It was a lengthy process. DEADLINE: How did you come up with the title change? VILLENEUVE: From the start, it was clear we were going to change the title because I thought we were taking big liberties with the original text. We got further away from the short story which focused principally on language and Eric had brought a tension in the script and a problematic that didn’t belong to the short story. 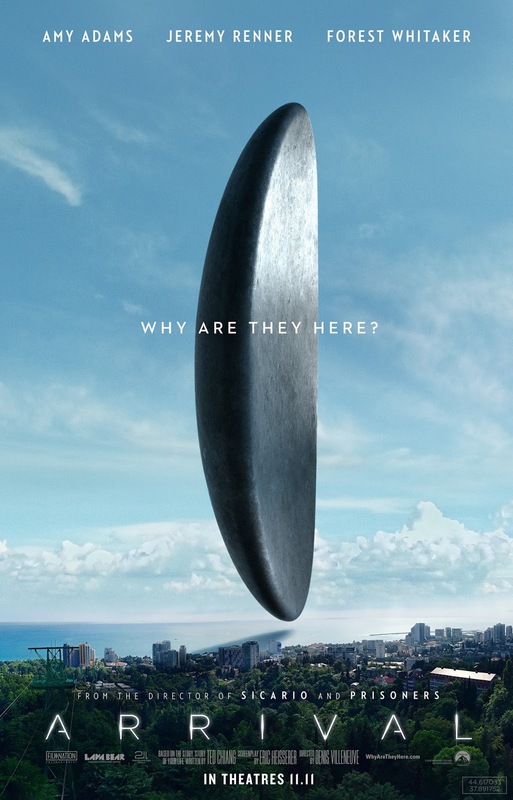 I found it wasn’t faithful, so I wanted to take a distance from it out of respect for Ted Chiang’s story, and also because we found the title worked very well for a short story, but in general people around me and myself reacted that it sounded more like a romantic comedy and not really a science-fiction film. So we did a long, long, long brainstorm. I saw hundreds of titles and we went back to the first one that was suggested by one of the producers three years before — Arrival — which seemed to me the best. Even if it wasn’t ideal, it was the best. DEADLINE: When Story Of Your Life was acquired by Paramount at the start of Cannes in 2014, it was a record deal for the time. Does that bring added pressure? VILLENEUVE: The thing is, I met the heads of Paramount and they really wanted to do the film. At the time they said it was the kind of film they wanted to do because it was the kind of film that was missing from Paramount — and they had missed out on Sicario which was taken by Lionsgate. But I recall that Paramount would have really liked to do Sicario and so they were very aggressive on Arrival and really wanted to crush the competition. There were five or six who wanted it. Everyone was seduced by the script and the idea that Amy Adams was attached to the project. Everyone was really enthusiastic. She was the first choice, she loved the script and said OK in 24 hours, so it had wind in its sails. Amy came in really early, earlier than I would have thought. I thought it was going to be a much longer process. I was doing Sicario and so Arrival had to wait, otherwise we would have shot earlier. DEADLINE: Your films have been quite dark including Incendies, Sicario and Prisoners. Was it a conscious choice to move to something perhaps a bit more hopeful? VILLENEUVE: I wanted to take a vacation from darkness. I had done Polytechnique, Incendies… Enemy was less dark, but then there was Prisoners and Sicario. I needed to get closer to a film that had lighter themes. For me, this is a film about mourning, but it’s still more luminous than the preceding films which were quite dark. I saw it as a parallel film, not as part of a continuity. For me, it’s a film that I did to [get away from that]. DEADLINE: In Sicario you highlighted issues of foreign policy. 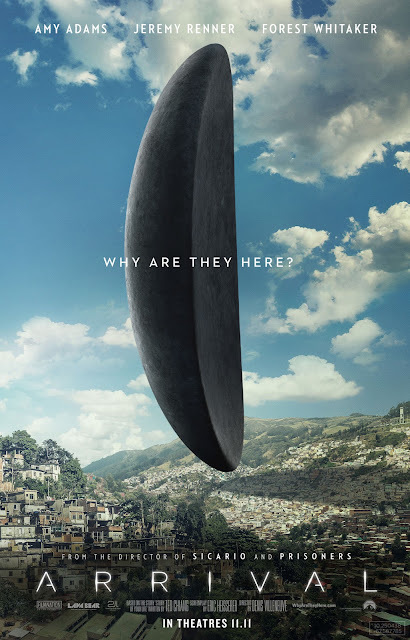 What about Arrival which is dealing with the most “foreign” of all things — extra-terrestrials? VILLENEUVE: It’s not exactly foreign policy, but we see to what extent the world is fragile when the slightest event — which is not ultimately threatening — what interests me is the human reactions. Faced with (the aliens’) approach, there is a paranoia that develops and a tension that develops, a disequilibrium. They’re there to teach something, but they don’t have a hidden agenda like in the majority of science-fiction stories. 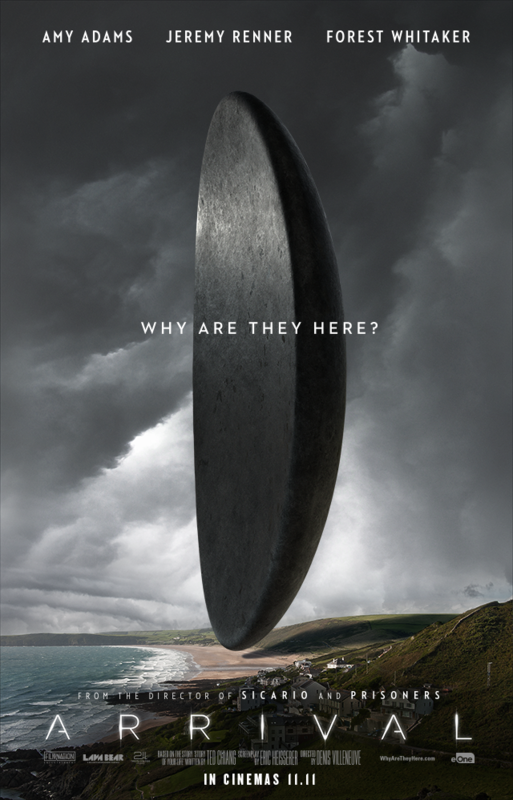 DEADLINE: U.S. and non-U.S. governments also have a role in Arrival. Were you commenting on the current political climate in the United States? VILLENEUVE: Arrival isn’t born of a desire to comment on the current political situation in America. It’s true that when I did Sicario the point was to explore the border and see at what point there was an incredible cleavage between what was happening in the north and the south, and the tensions there, and to shine a light on that. But the film came out, and then after there was what is happening now in the government. The point wasn’t to feed the paranoia. Arrival is a film more about bridges than walls. DEADLINE: Amy Adams’ character is an expert linguist and communication is a central theme in the film. You are a native French speaker who now works largely in English. What is the importance for you of language? VILLENEUVE: I’ve always been in love with language. My favorite book is a dictionary. I have always loved words. There’s something to that. And the etymology of words, to dig into the origins. For me it was a choice to make films in English because I wanted to tell certain stories that could only be told in English — for now, that doesn’t mean I won’t go back to French. But I realize that there’s something that rises above language and even in my work there’s an intuition. Arrival talks very little about language and how to precisely dissect a foreign language. It’s more a film on intuition and communication by intuition, the language of intuition. That’s something that I find in my work. When I work in English I’d say I don’t see a big difference in my rapport with my team or the actors. When I work in English or French, the music of the language is different but beyond that music, in the depths, it’s the same. DEADLINE: There’s a theory that people who speak two languages express themselves differently in each, with a different persona. Hollywood must have been a very foreign place for you when you arrived, do you think you have a different way of communicating when working there? VILLENEUVE: Totally, but there are several layers. It’s a good question because it’s true that when I speak in English I know I express myself with a crazy accent and that creates a character; it creates an opening towards other people which is different than when I speak in French and I am more serious, more articulated. In English, I express myself with fewer words because I am nevertheless a little more clumsy. That character must be more charming than the French one (laughs). DEADLINE: After several of your earlier films had female protagonists, you did two movies with Jake Gyllenhaal and then returned to working with a woman for Sicario. Arrival also has a woman in the lead. Did you purposefully lean towards that? VILLENEUVE: Films choose you and you choose the films. What I loved about this film was that it was a character where, again, there’s something in her rapport with intuition and opening. But it’s honestly a coincidence that I chose two projects with a female protagonist. I’ve done it four or five times in the past. For me it’s a way to have a bit of distance from the principal character. And I’m fascinated by feminine consciousness. DEADLINE: And now you’re working with a mix on the Blade Runner sequel. Back when you first told the Arrival producers you wanted to do a sci-fi movie, did you ever see yourself doing this? VILLENEUVE: No, I never would have dared imagine that! I still pinch myself sometimes in the morning. It’s really… I’ve never been this inspired. Everyone on the team is really inspired. It’s a bit berserk that we’re taking this risk. It feels like you are flirting with disaster every morning. At the same time, I have actors that are really wonderful, who are really impressive. I am really impressed by Ryan Gosling. DEADLINE: You are one of the few foreign-language directors who seems to really have been able to crack Hollywood. How do you explain that? VILLENEUVE: There was nothing calculated. When I did Incendies, I didn’t do it because I wanted to go to the Oscars. I did it because I loved the play by Wajdi Mouawadi. It was a view on the world that I took to heart. I can’t measure the impact of films in advance or guess at it. I’d say I’ve been lucky. Take a film like Sicario which is quite dark. I personally thought it had a very strong story. It’s the kind of film I want to see, but that it was successful? You can’t predict that. Will Arrival be successful? I have no idea. I think it’s a film that has a beautiful poetry. It’s fragile on certain angles and I’m very nervous about on the release. I have no idea. Each film I feel like I’m taking a lot of risk and I really want to see what happens. DEADLINE: You won’t be in Venice this year because of your Blade Runner commitments. Incendies had its premiere there and was a major breakout for you. What do these big European festivals represent for someone who works across language and genre? VILLENEUVE: This is the first time I can’t come [with one of my films to a festival]. The (Blade Runner) schedule is so tight that I can’t leave the set; technically the film is so complicated I couldn’t move the days. I remember with Incendies I was in Venice Days and I was seduced by the elegance, how refined it is. There’s a calm and an ambiance of cinema. I’m really touched that they chose Arrival which is between an auteur film and a commercial film. It’s like when Cannes chose Sicario. I put a lot of myself into these films, but I also appreciate films that tell stories that can be more mass audience. I like the idea that cinema is a spectacle.